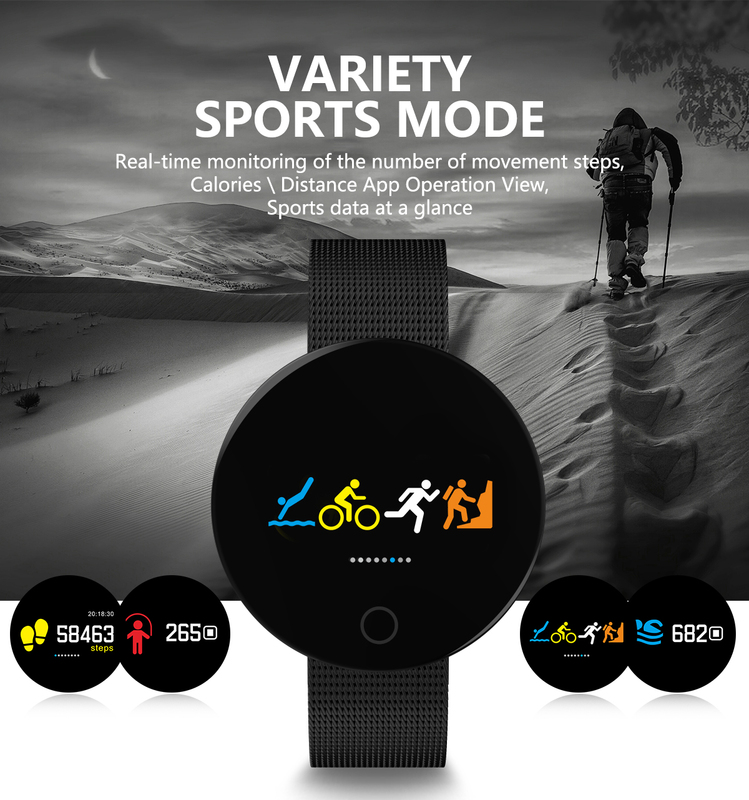 Successfully Added Bluetooth Fitness Tracker - Heartrate Monitor, Pedometer, Calorie Counter, Notificaions, Calls,, 0.96 Inch Display Ip67 to your Shopping Cart. Meet the 007Pro fitness tracker: does everything a Bluetooth watch can do, while helping you keep in shape and all at a cheaper price. 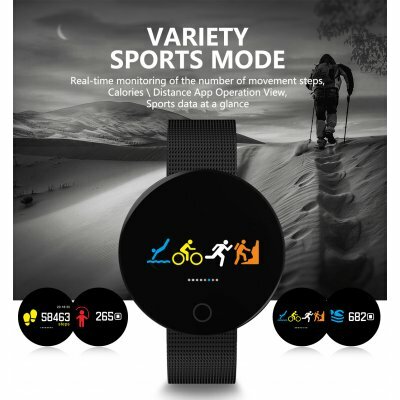 This fitness bracelet has a heart rate sensor, pedometer, calorie counter sleep monitor and sedentary reminder so can correlate all your exercise routines and sleep patterns. This doesn't just show you how many steps you've taken but also keeps tabs on the health of your heart and indicates how many calories you've burned throughout the day. A 0.96-inch display shows all your vitals and with the FlagFit2 app you can track and store the data on your smartphone letting you track your progress and keep your fitness goals. This stylish fitness bracelet looks cool and has an IP67 rating so you don't need to take it off when sweating it out in the sauna or take a shower. It can be paired with your Android or iOS smartphone so you will receive calls and notifications directly on your wrist letting you keep your phone safely tucked in your pocket. When it comes to usage times this smart bracelet easily outperforms most smartwatches as it has a built in 90mAh battery that brings up to 10 days of usage time or 5 days if using Bluetooth to sync with your smartphone. Arabic: - بلوتوث اللياقة البدنية المقتفي - Chinese Simplified: - 蓝牙健身跟踪器 - Czech: - Bluetooth Fitness Tracker - Danish: - Bluetooth-Fitness Tracker - Dutch: - Bluetooth Fitness Tracker - French: - Bluetooth Fitness Tracker - German: - Bluetooth-Fitness-Tracker - Hebrew: - גשש הכושר Bluetooth - Hindi: - ब्लूटूथ फिटनेस ट्रैकर - Italian: - Bluetooth Fitness Tracker - Japanese: - Bluetooth フィットネス トラッカー - Korean: - 블루투스 피트 니스 추적기 - Malay: - Bluetooth kecergasan Tracker - Norwegian Bokmål: - Bluetooth Fitness Tracker - Romanian: - Bluetooth Tracker de Fitness - Russian: - Bluetooth фитнес Tracker - Spanish: - Bluetooth Fitness Tracker - Thai: - ลำโพงและออกกำลังกาย - Turkish: - Bluetooth Fitness ait diğer siteler - Vietnamese: - Bluetooth thể dục Tracker.